Vilhjalmur Stefansson (1879-1962) was a Canadian born, American educated anthropologist who participated in three research expeditions to the Alaskan and Canadian Arctic: the Anglo-American Polar Expedition (1906-07); the Stefansson-Anderson Expedition (1908-12); and the Canadian Arctic Expedition (1913-18). During his time in the western Canadian Arctic, and in particular in the course of his first two expeditions, Stefansson observed and recorded the end of a way of life described by the Roman Catholic missionary Émile Petitot in the 1860’s when the impacts of foreign diseases and acculturative forces of western society where just beginning to reverberate through Inuvialuit communities. 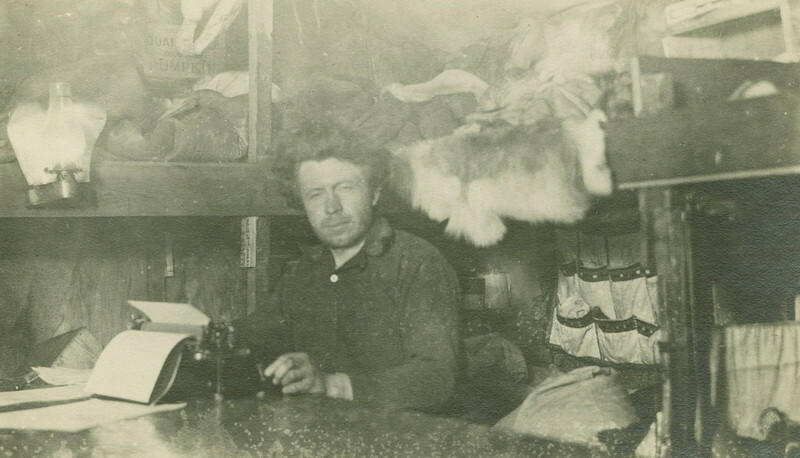 In his diaries and publications Stefansson commented on traditional tools and other objects that were still in use by Inuvialuit in the early 1900s. His observations on items that are also found in the MacFarlane Collection are included in the ‘Object Type’ descriptions in the Collection section of this website. Most of those comments are from his 1914 publication, ‘Stefansson-Anderson Arctic Expedition’ (Anthropological Papers of the American Museum of Natural History, v. 14. New York: AMS Press), which in addition to providing an account of his 1908-12 expedition also includes notes on Stefansson's anthropological work during the 1906-07 Anglo-American Polar Expedition.